It seems as if you can’t check the news without finding at least one story of a life being lost to drugs. What is perhaps most concerning is that, all too often, the person who succumbed tragically for drug-related reasons is fairly young. And, a study released in the journal Addiction found that opioids — or narcotic painkillers like Vicadin, oxycodone, codeine, and morphine — are largely to blame. The study shows that there were almost 6,000 opioid-related deaths in Ontario, Canada alone, between 1991 to the end in 2010. That represented a 242% increase from the beginning of the study. Overall, 25-34 year olds accounted for one in eight deaths. But it’s not just Ontario that has this problem: The CDC says that opioid-related deaths have more than tripled in the US since 1990, and younger patients aren’t immune. What Is Causing This Trend? Certainly, the issue of drug use is multi-faceted and cannot be isolated to just one cause, but it would be remiss to not consider that one possible contributor is the rise in the number of prescriptions being given to our youth. For instance, a previous study published in the Journal of Adolescent Health highlights the fact that out of 8,000 adolescents who sought medical treatment for headaches, opioid prescriptions were given approximately 46% of the time. That’s not the worst of it. In 48% of the cases, the teens who presented with head-related pain were given two different opioids to manage their pain and 29% of the adolescents got three prescriptions or more. Rather than prescribe these highly-addictive painkillers, why not treat teens with a drug-free solution first? 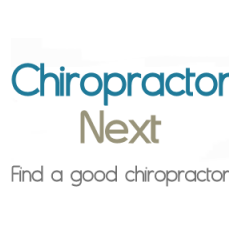 Chiropractic is a great natural remedy for headache, back, neck, and leg pain, amongst the several other benefits it offers. Not only does it actually take care of the problem, but it also reduces exposure to drugs at an early age. Gomes T, et al. The burden of premature opioid-related mortality. Addiction. July 7, 2014. DeVries A, et al. Opioid Use Among Adolescent Patients Treated for Headache. Journal of Adolescent Health. February 26, 2014.